In addition to being life changing, the aftermath of a serious injury can be overwhelming. Legal issues, medical bills, healing as well as a seriously altered personal and professional life can leave victims lost. When people are injured as a result of someone's negligence, we believe they should be cared for, compensated for the damage and able to elevate their quality of life as much as possible. That's why we're here. As lawyers, we at the law firm of Hoffman Legal Group, LLC have more than 40 years of combined experience and have helped over 5,000 people in the Cleveland area and North Eastern and Central Ohio obtain compensation for injury. Our approach, one that has earned our law firm Martindale-Hubbell AV rating and obtained millions of dollars for clients in our decades of practice, is based on the comprehensive knowledge of personal injury. With 15 years of experience defending insurance companies, our founder and senior partner, W. Andrew Hoffman III, knows all of their tricks and can use his knowledge against them. He was also named a Certified Civil Trial Advocate by the National Board of Trial Advocacy, an honor only 10 percent of Cleveland personal injury attorneys can claim. 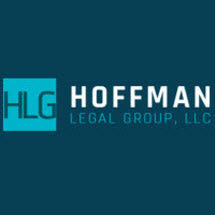 At Hoffman Legal Group, LLC, we believe that our experience, knowledge and aggression are only exceeded by our compassion and attention to our clients' needs. We work one-on-one with our clients and always answer questions personally and promptly. In every personal injury and workers' compensation case we work exclusively on contingency and never collect any attorney's fees until our clients get the compensation they deserve. We encourage you to reach out.